“Detox” and “Cleanse” are total buzz words these days. Unfortunately, most of the programs I’ve seen on the market involve hundreds of dollars for powders and pills and leave you with little to no support through the process. This is the 3rd year I’ve been coaching people through whole foods detox programs… and what I can tell you right up front is that there are no gimmicks, no powders or pills — in fact, the only “supplement” I recommend you purchase is a good probiotic ((but I also show you a fabulous and easy way to make your own probiotic rich foods and beverages!)) 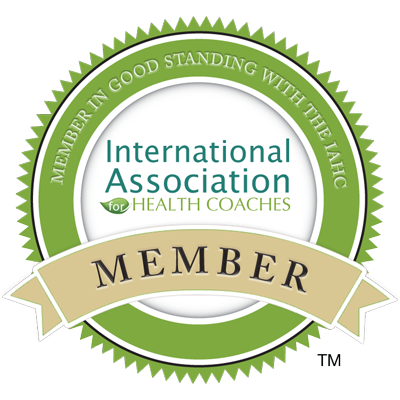 As a Certified Holistic Health Coach, my job is to support you through your experience so that you can go deep, do the work and see results. The “Autumn Glow” program that runs September 14-28th is a seasonally inspired detox program. This means that I highlight nutritionals that are available and that are appropriate for this time of year. In the summer our bodies can stand watery, sugary fruits because temps are hot and we need to cool down. In the fall and winter our bodies start to seek out warming foods, spices and drinks in order to balance out the cooler temps and keep our digestion from stagnating. Just think about how it would feel to eat a cup of icy cold watermelon in December as opposed to eating it in July! So, it is suggested that we formally detox 4 times a year, once with each season, to cleanse our bodies of the toxins that accumulate each quarter from environmental factors, stress, and lifestyle choices. I offer short detox programs in September, December/January, March and June. With each season we do a little tune up. Just like the rhythm of the day, the week, the month, the year, so becomes the rhythm of self care. As we learn to honor our bodies and the changes that come with each season, we become stronger, our digestion improves, our skin clears and our immune system balances. One of the major improvements that my regular clients report is freedom from allergies and seasonal afflictions like colds and sinus problems. What are some of the benefits you’ll see after detoxing your body? Look great and feel even better! Detoxing in the fall is critical for building the immune system and strengthening your digestion. It’s also a chance to slow down and give your body a break after the busy summer months. In the fall, we focus on detoxing the lungs and the large intestine, which are the two organs that need the most attention during this season according to Traditional Chinese Medicine. This is possible using a combination of physical and emotional tools, combined with proper diet, all of which I cover in my program Autumn Glow. After midnight your investment in yourself is only $147! Early-Bird Special: $99 — Sign up before 9/10 and save! – Sign up at the regular program rate before 9/10 and I’ll give you AND a friend access to the program! This entry was posted in Uncategorized and tagged cleanse, detox, glow, real food, whole food. Bookmark the permalink.